Sarah Hamilton is a marketing leader with over 20 years of experience in pioneering new ideas, delivering results, and driving innovation through B2B marketing and authentic messaging across multiple functions: Channel and Alliances, Product and Solution, Demand Generation, Advisory Services, Product Management, and Account Management. She has proven resourceful in maximizing marketing budgets and pinpointing high-impact multichannel programs that drive inbound marketing and customer interaction to, through, and with channel partners. She has delivered quantitative impacts to sales pipeline, bookings, website traffic, lead generation, and product lifecycle metrics. Sarah is also a certified career consultant with expertise in team and organization design and chartering, leading through change, accelerating on boarding, motivating and mentoring, and designing high performing teams. She is dedicated to driving success for her company and her channel partners while manifesting and exemplifying corporate values. 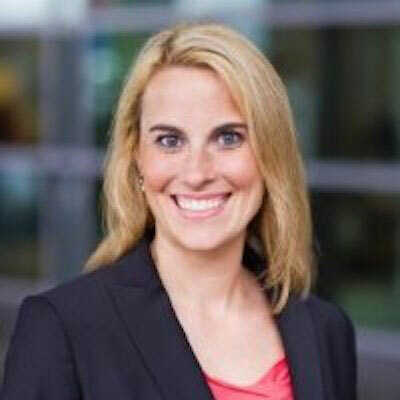 Over the past year, Sarah has led the marketing effort for Sungard AS' strategic channel partners, including technology alliance partners and IT Outsourcers. She created distinct marketing strategies that succeeded in delivering active sales pipeline through collaborative messaging, sales enablement, and campaigns. Sarah and her team aligned internal corporate groups and channel partner stakeholders, driving collaboration in the organizations that extended beyond sales and marketing groups. This extensive approach to teaming contributed to their high achievement and output in 2017. Over the next year, Sarah will apply global messages to focused marketing efforts with strategic partners in North America and Europe, including regionalization of some aspects of the global plan. She and her team will design campaigns and concepts with a globally-centered approach that will be applicable in multiple countries and regions with a small level of customization. She will continue to drive revenue for her company and her partners through creative, edgy multitouch marketing campaigns designed to stimulate conversations with end users in which Sungard AS and channel partners will engage together. Sarah was honored to be included in CRN's 2017 Women of the Channel. She was also selected to serve as a Mentor and Peer Buddy as part of programs designed by her company's Human Resources department. "I look up to female role models of all genres and professions who maintain the common trait of creating something from nothing and making a profound impact on the world despite limited resources. Tina Fey is one such example. She persevered in a 'boys club' industry, becoming the first female head writer for Saturday Night Live and receiving the Mark Twain Prize for American Humor. Even before achieving these accolades, Fey managed to reinvent herself many times, overcoming rampant sexism, all with the goal of making people laugh." "I would tell her to worry less...much less...about the opinions of others and to internalize feedback only from those who are giving it with her best interests at heart and whose advice can help her make changes that will enhance her ability to be her best self." "I would love to learn a coupe of other languages. A big part of my role involves working with countries around the globe. While most of my colleagues and partners speak English, it would be wonderful if I could converse in their native tongues." "The Subtle Art of Not Giving a F*ck by Mark Manson. This book takes a different approach to how people can achieve happiness, including taking full responsibility for how we react to what happens to us, even if we are not the cause. It pays homage to the positive nature of the struggle to achieve one's goals, even above the achievement itself."